We are coming to the end of #DeafblindAwarenessWeek, the NHS is turning 70 and we have just finished celebrating Chloe's 10th birthday. She has been with us for 10 extraordinary years. I had no idea that the precious baby I was carrying would teach me so much. 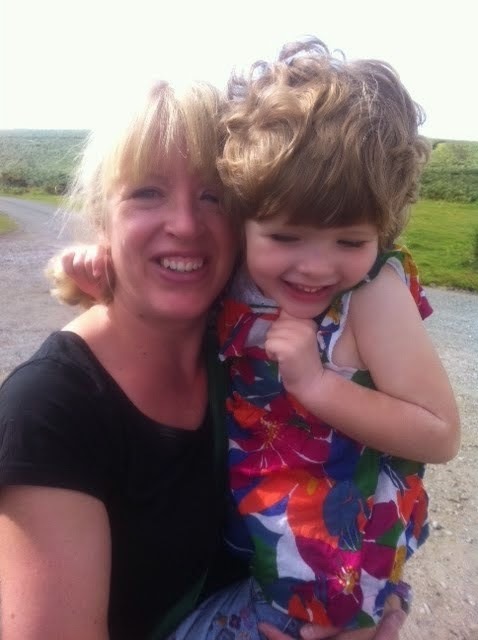 I have found strength I didn't know I possessed and felt pain and joy I hadn't even touched before I became Chloe's Mum. Chloe loves a party and managed to find 4 different ways of marking her birthday. 1) a small family gathering with her cousin and friend from school. 2) a birthday treat with the same cousin and her 'best' friend having fun with pottery. 3) a fun filled, inflatable swimming party with 9 very special friends 4) a trip to the Warner Brothers Studio Tour of the Making of Harry Potter. 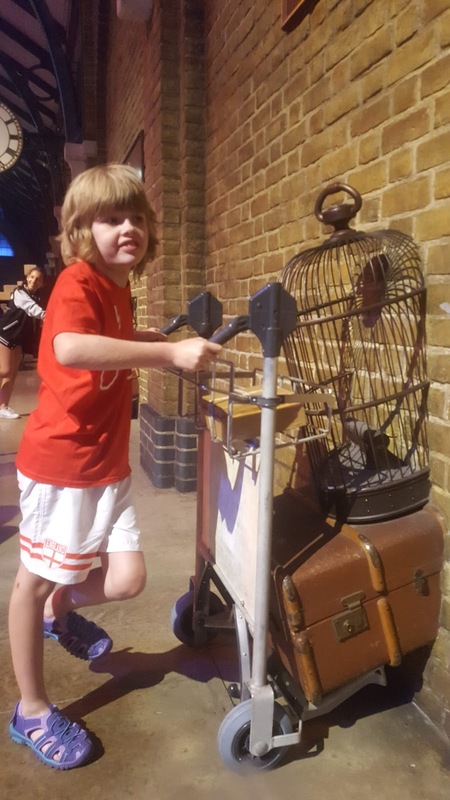 Chloe is absolutely obsessed with Harry Potter and impressed the brilliant lady who gave us a personalised tactile and audio described tour with her knowledge and enthusiasm. My head has been full of memories of Chloe from the tiny baby who was so restricted by her vision and hearing loss to the strong and determined rebel girl she is becoming. Our relationship has changed as she has grown and she is beginning to want to move away from me which causes her confusion. It's hard to encourage independence without a loss of security and confidence but we are figuring it out together. I have decided to write my amazing girl a letter to mark the significance of double digits and the adventure so far. I can't believe you are 10, the time has gone so quickly and you are growing up so fast. I know every parent has similar feelings. Sometimes I would like to stop time so I can capture you as you are now, so funny, loving, determined and trusting. I realise that I have lost a bit of my shine, that sometimes you want to run away from me rather than have a cuddle. I can be the the person that makes you the most cross or embarrassed but I am so glad that I am still the one you come to for reassurance and support. I will always hold your hand when you need it, welcome you back when you are wobbling then encourage you on your way again. Its hard to remember just how lost and scared I felt in the first few years when I was coming to terms with how your hearing and vision loss would effect your life. I couldn't see ahead, or figure out how we were going to help you be in the world with us. I wanted so desperately for you to be part of the community, to be able to play with friends and do all the things other children do. With the help of your team, the right specialist support , your inclusive school and community groups you belong to you are succeeding- holding your own and making your mark on the world. The first years I had to hold you so close so you knew I was there and keeping you safe. With the help of your cochlear implants and your remarkable, curious brain you have been able to leave my arms and explore. I have given you up again and again to the specialist services who enable you to take part in mainstream world. I am too attached to allow you to take risks sometimes, my instincts are to keep you safe. We are lucky that there are people in your life who can support you towards your independence and don't say "careful Chloe" too many times like I do. I have accepted when you have come home from school covered in grazes where you have tripped over the edge of the playground or bumped into another fast moving child because all children fall over and get hurt. I was always coming home with scabby knees when I was your age. The fact that you are not phased and just dust yourself off and carry on playing makes me so, so proud. You are not scared of getting hurt and carry on running even though any vision you have is effected by movement. I can't pretend it is easy- you have to work so hard to follow lessons, keep up with the teacher and take an active part in group work. This year we have managed to carve out "Chloe time" twice a week at school where you can consolidate your learning as it is getting harder for you . We have focused on increasing your braille reading ability at home, putting in place structured time for me to listen to you. Though you resisted at first I love this time together when I know I am really helping you and your future. It was lovely to hear that your hard work has really paid off and your braille reading levels have moved from emerging to fluent. What an achievement. You got a very special braille card this year from your little cousins in London and I loved watching my sister's face as you read the message aloud so speedily. Chloe in your 10 years you have already achieved so much.. You have reached the top of climbing walls, you have learnt to swim, you have completed a brownie camp over without me, and performed in two theatre shows. This Easter you took part in a Guide dog experience day and impressed the instructors with how quickly you picked up the commands. 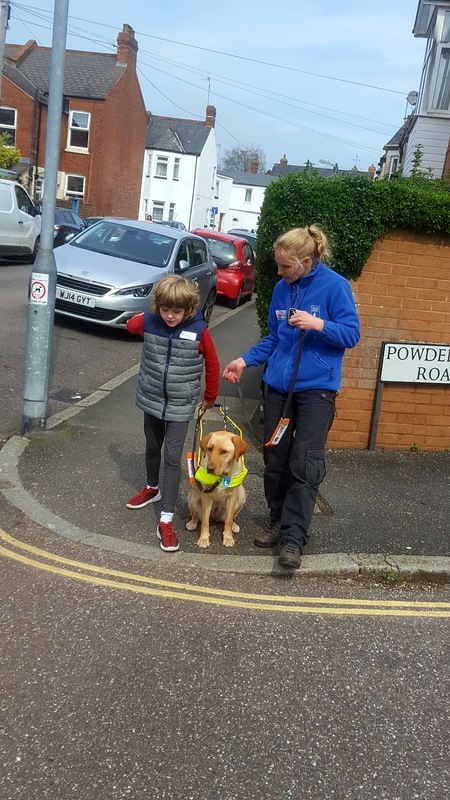 Like all of us you are motivated by things that excite and interest you and I know you are determined to become a Guide Dog owner as soon as possible. I understand that change scares you and you are finding growing up very confusing. I cannot keep you safe all the time. You are bound to get hurt by people and by your own restrictions at times. I see how frustrated you get when you can't do the things your friends can. What is truly brilliant is that you never give up trying. We went to crazy golf last month and a happy family outing could have turned really sour as you tried again and again to get the golf ball up a really tricky obstacle. My instinct was to help and then to let others go ahead so we didn't hold their game up. You were absolutely right to be cross with me. Your words will stay with me forever. "But Mum" you said through tears of frustration, "how can I feel proud of myself if I don't achieve it by myself?" You did get the ball up the tunnel and into the hole about 10 tries later. How brilliant you are and what a lot I still have to learn from you. I don't know what the next 10 years will bring. I can't promise it will be smooth sailing but I can promise that I will be here when you need a cuddle and to feel safe. I will also be here encouraging you out of the door with your cane or your guide dog., off exploring the world and all it has to offer. Photo of Chloe with a Guide Dog in training sat on a curb. Chloe is holding onto the harness and about to give a forward command. There is a guide dog instructor on the other side of the yellow Labrador holding onto the lead.